Suzi Shelton is an American singer-songwriter currently based in New York City who has performed and recorded both on her own and with the Imagination Workshop Band. She is also the host of several DVDs by Gymboree. 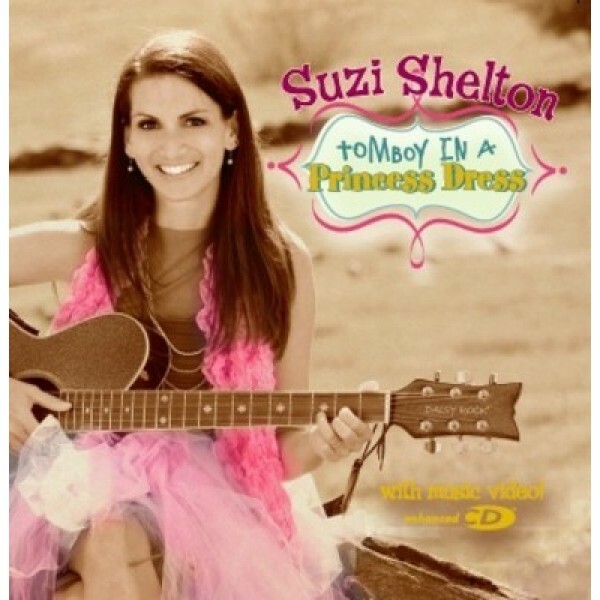 Tomboy in a Princess Dress is from her mini EP of the same name and was inspired by Shelton's 7-year-old daughter. It celebrates all the Mighty Girls out there who love to combine physical adventurousness and messy play with princess dressup. Notes for Parents: Although it is classified as children's music, like most Kindie rock music the music and lyrics of Tomboy in a Princess Dress are interesting and accessible to all ages. It is an excellent song for any girl who feels like she is somewhere in between the usual labels of "girly girl" and "tomboy", since Shelton captures the wonderful blend of the two that many girls love. The music video features images of many girls involved in physical play; it is suitable for all ages.